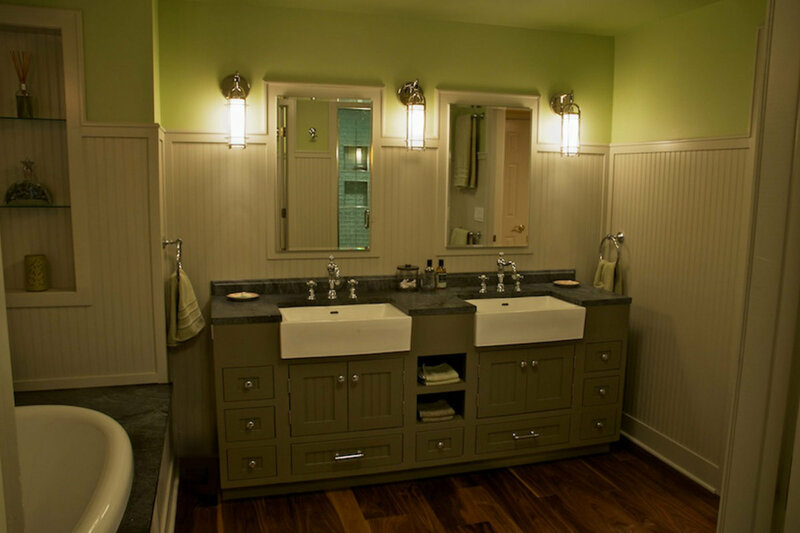 This renovation began to satisfy the needs of a growing family. 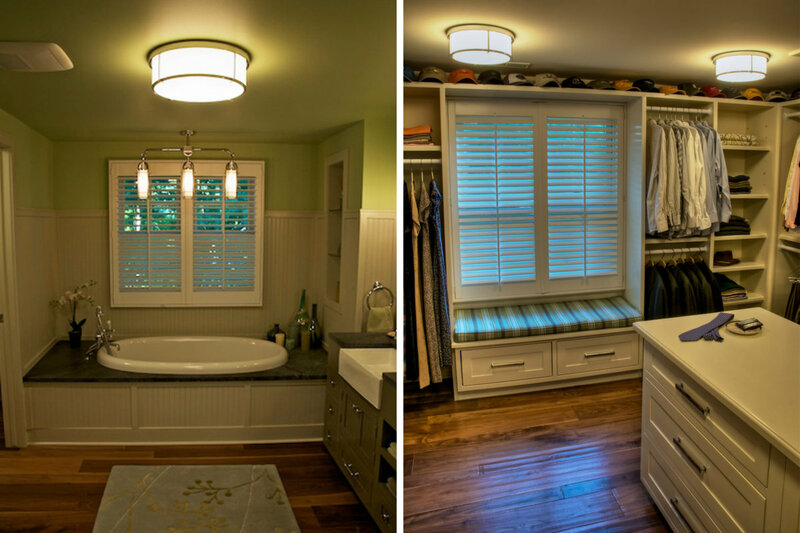 In order to maximize the footprint of the existing home, the 1,300 square feet master suite was built above the garage. 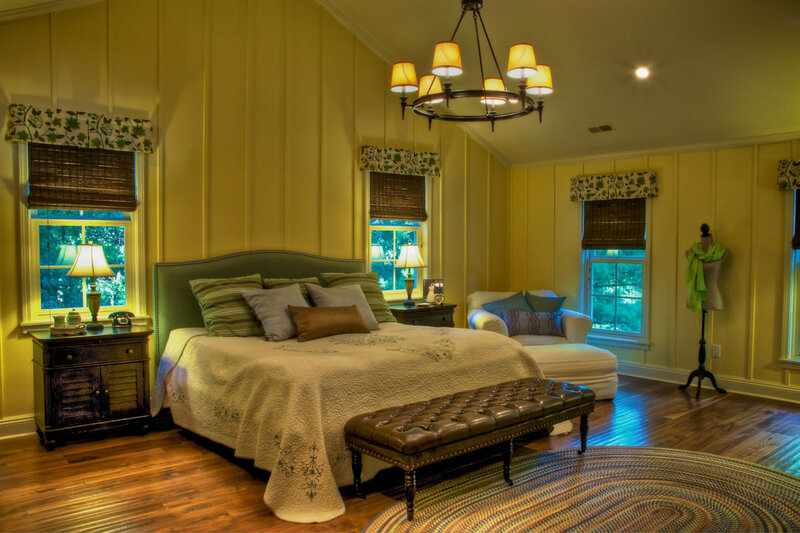 The bedroom and bath, while creating a “cottage feel”, provide a beautiful sanctuary. Featured in the suite are a sleeping area and a traditional library especially built for the bibliophile in the family. The contrast of styles is an effective way to separate the rooms but the 3/4 wall between them promotes the unity between each space. Dormers were added above the main part of the house. A new entrance and fresh paint modernize this traditional home without impacting its integrity.